With a last name like Murphy, I can’t go without celebrating St. Patrick’s Day! 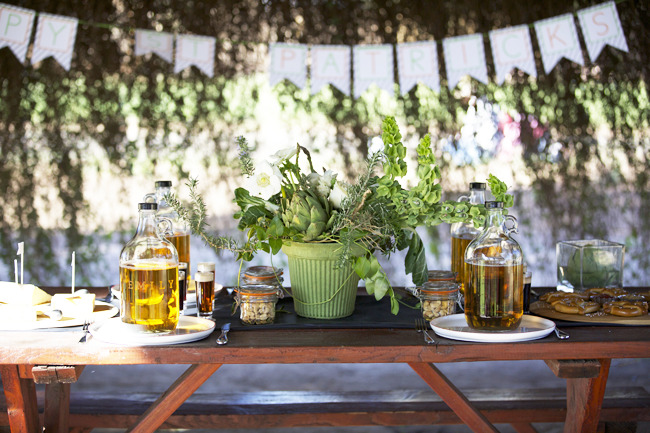 So today I’m sharing a little St. Patrick’s Day party inspiration we drummed up for Lauren Conrad! I don’t know about you, but when I think of St. Patrick’s Day, I think of beer! So, we decided to throw a little St. Patrick’s Day Beer Tasting! Here is everything you need to throw your very own, plus a little cameo of my 100% Irish dad. Farm Setting It’s starting to get warm here in Arizona, so we took the party outside to the The Farm at South Mountain! It was so incredibly beautiful out there! The weather is just perfect this time of year, so it might have been the most fun I have had at a photo shoot yet! 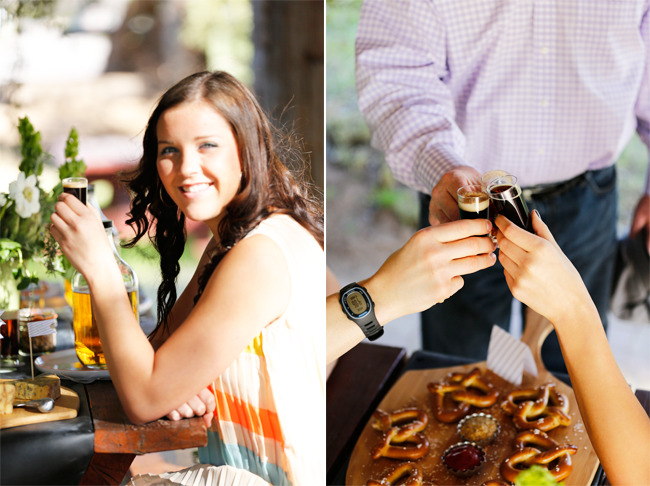 Take your beer tasting to your nearest farm or look no further than your backyard! Beer Growlers are all over watering holes these days! 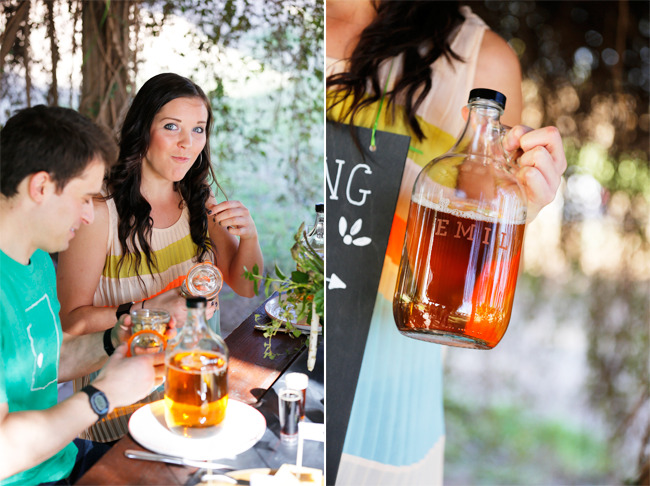 Pour your guests different kinds of beers in these half-gallon growlers or choose gallon guzzlers. Beer flights are just the thing for beer tastings. They provide the perfect amount of taste for your guests. Menu items like a cheese board, soft pretzels, mixed nuts, and homemade granola bars pair perfectly with beer. 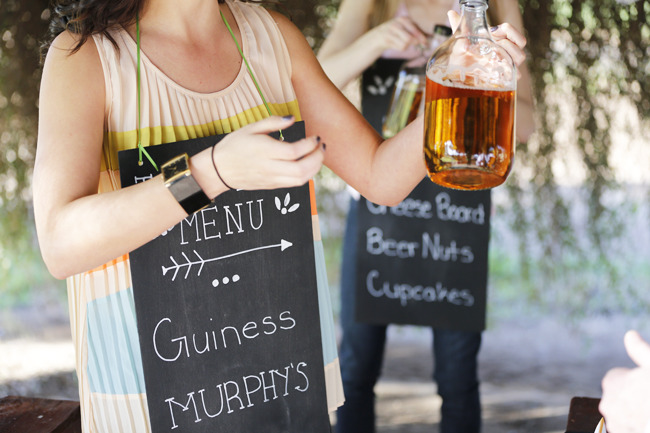 Printables will make your party feel cohesive, and you will always want to send your guests off with a parting favor! 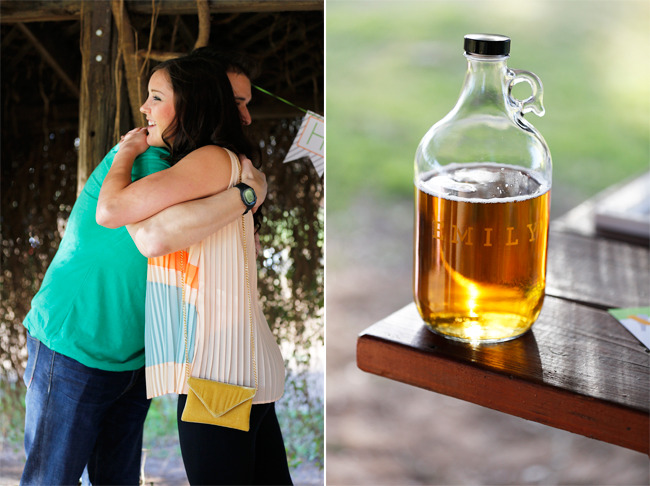 Instead of the usual place settings, we opted for personalized beer growlers to direct guests to their seats! You can find growlers at your local home beer-brewing store. If you are in AZ, I got these half-gallon jugs at Brew Your Own Brew in Gilbert. I’ll be sharing how to personalize them on SaucyPants in a couple of days! The best part about these is they double as party favors for your guests to take home! To set the tone for a beer tasting, we scattered barrels around the party. If you want to get wild, scatter around kegs instead! I have never been to Ireland, but from the pictures I see, the verdant landscape is breathtaking. We wanted to bring a little of that to our party. Karin at God’s Garden Treasures Florist put together “something earthy and green” for us to use as a centerpiece! If this doesn’t scream Irish, I don’t know what does! Karin mixed in Bells of Ireland, artichokes, asparagus, lettuce, rosemary, and she can tell you what else! You can experiment with what you have around your house to make your very own centerpiece or just have Karin do it for you like I did ;-). Other décor pieces you can make at home are these artichoke filled vases. To make them, we just dropped artichokes (stems cut off) in square vases filled about a quarter of the way up with water. We scattered these around the party on the main and side tables to match the centerpiece! A very simple but good-looking idea! I’m not a fan of going overboard with green on St. Patrick’s Day, so we showed our spirit with little pops of green in our outfits! I wore a baby pink ruffled button down top with reversible jeans from Bunky Boutique. These jeans are awesome! You can wear them with the flower pattern cuffed at the bottom or reverse them to reveal the “all over” flower pattern, which is completely on trend right now! I topped the outfit off with a tipped straw cloque aka “cute hat” from Anthropologie. Emily wore a pleated color block top with black leggings, shorty boots, and a long-strap lime green purse from Bunky Boutique. And Mike wore a Kelly green heart Arizona tee from Bunky Boutique. We used orange-rimmed dishes from Anthropologie to set the table! To me this orange color is synonymous with gastro-pubs, so these seemed to fit perfectly! 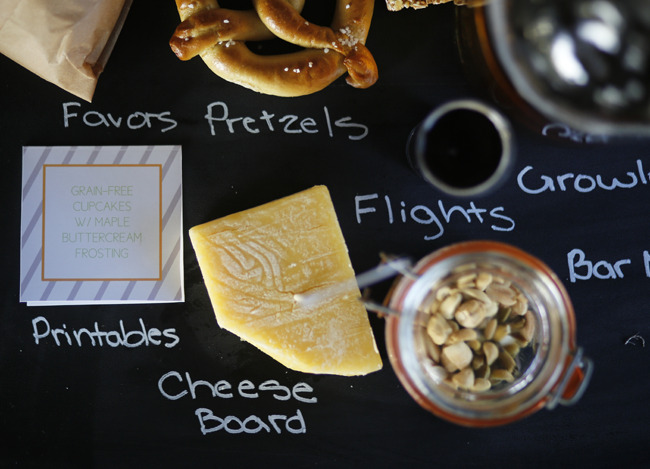 To let guests know what they were going to eat and drink, we made chalkboard menus to hang up (and wear around apparently). We will be sharing how to make these, including how to make writing with chalk look pretty! We served different beers for our guests to try in shot or flight glasses. You can go glass or plastic! Beers were labeled with our printable beer label coasters. Guests picked their top three beer choices by flagging them “1,2, and 3” with our printable scoring flags. Guests could also score their beers and write notes with our printable beer scorecards. And finally, guests could write notes on our printable note cards. These are great for take home notes, so your guests can remember their favorites! Emily wore Rose Quartz Rhinestone Earrings and a mustard colored velvet purse from Bunky Boutique. We served some healthier (of course!) snacks that complimented the beers! First up were whole-wheat soft pretzels. Next, mixed nuts were served in jars. 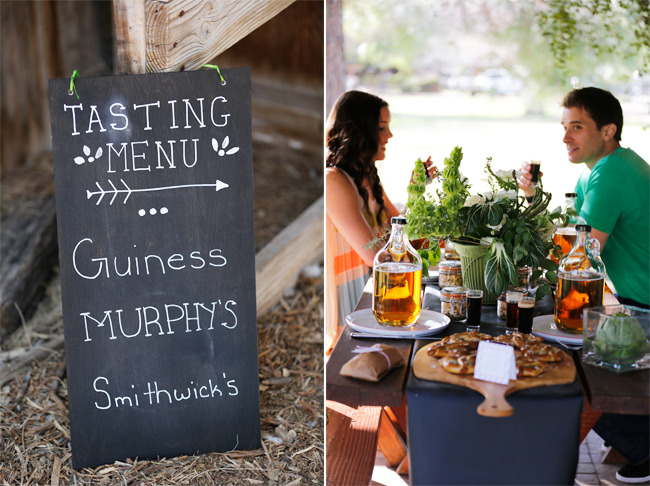 Third, a pizza board was festooned with artisanal cheeses featuring Irish brands of course, including Kerrygold Dubliner cheese! And finally, handmade granola bars were served and wrapped in parchment paper and twine. We will be sharing all of these recipes in a couple of days! All food items were labeled with our tent cards. We served all Irish beers in flights, growlers, and bottles! For the bottles we customized them with our printable labels! Here are a few of the beers we served! Guinness Stout Beer Diageo brewed the Guinness Stout in Ireland. True to the Irish Ale style, Diageo has given Guinness Stout the following description: "A crisp hint of roasted barley, the fresh breeze of hops, and the refreshing bite all make for the bittersweet reward." It is best served in a Pint glass at a temperature of 16 ℃. Murphy’s Irish Stout (I couldn’t resist!) Murphy's Irish Stout (often simply Murphy's) is a stout brewed at the Murphy's Brewery in Cork, Ireland (where our family is from!). It is brewed to be less heavy and less bitter than its chief competitor Guinness. Its flavor is evocative of caramel and malt, and is described as "a distant relative of chocolate milk.” The resemblance to milk extends beyond flavor to texture: Murphy's is free from any hint of carbonation, and is delivered "black as strong cappuccino" with an inch of foam – the head – on top. Smithwick’s Smithwick’s is Ireland's Oldest Ale, since 1710. The basic Smithwick's Draught has a creamy head, a palate that is very soft at first but develops in sweetness, and a hint of treacle toffee dryness in the finish. It seems bigger than might be expected from a gravity of 1036. It is brewed from Pale Ale malt, roasted barley and 20 per cent corn syrup, with English bittering hops, plus Fuggles and Goldings for aroma. 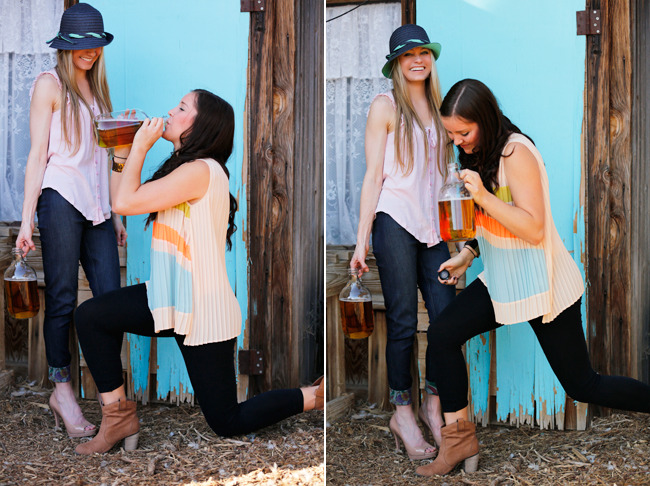 If you want to get even more “crafty” with your beers, I suggest visiting our customer’s blog. 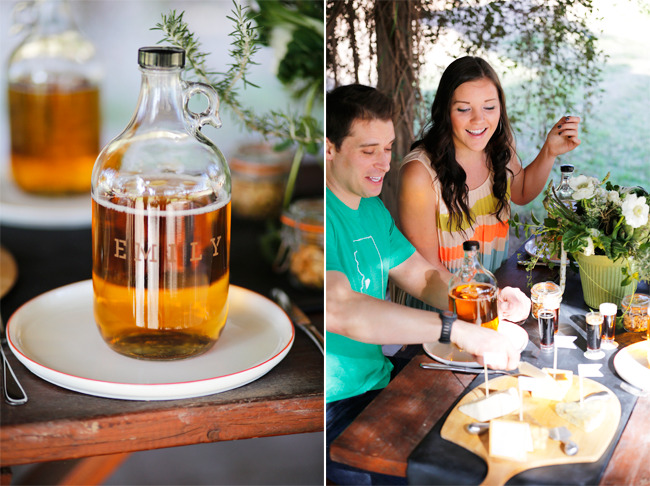 She threw her husband a 30th birthday party and went all out with the food and beer pairings. She has some great tips! Otherwise, contact your local brewery for some great craft beers and descriptions! Whole Foods has some great craft beers and will fill up growlers (with official labels) here in Arizona and other states in which it is legal! This was my first time using blackboard cloth aka chalk cloth, and I am obsessed! This stuff is great! We draped it over the table so partygoers could write their thoughts about the beers we were serving. Stay tuned to because I will be sharing the full tutorial soon! For dessert, we served Gluten-Free Organic Cupcakes with Butter cream Frosting on mini cupcake pedestals adorned with party circles. As a parting gift, we sent guests home with Irish Soda Bread mini loaves wrapped in parchment paper, twine, and our favor tags. To throw your very own St. Patrick’s Day Beer Tasting, you can download our St. Patrick’s Day Beer Tasting party printable collectionin the Shop or in the Etsy Shop! Short on time? No worries, it's an INSTANT DOWNLOAD! 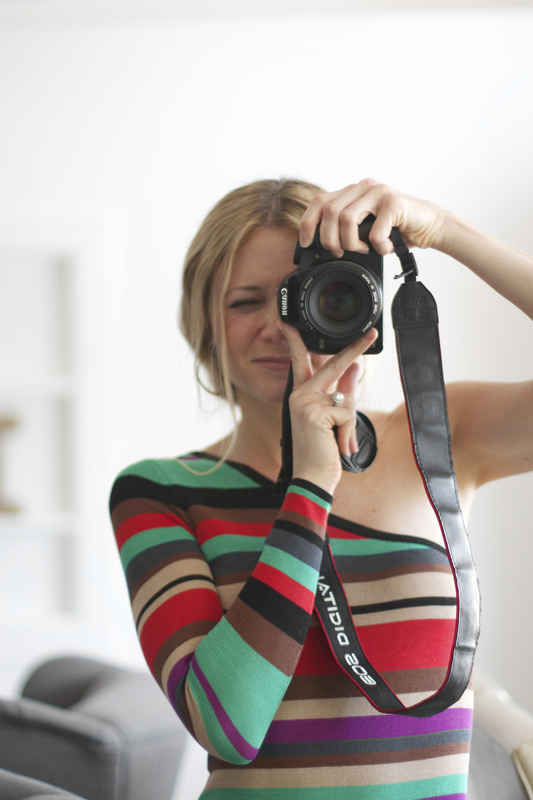 In case you are interested, here are all of my projects for celebrity Lauren Conrad. Sep 10 Retro-Chic New Years Eve Party for Lauren Conrad!! Oct 8 Vintage Easter Brunch For Lauren Conrad!